Well it comes around every year. 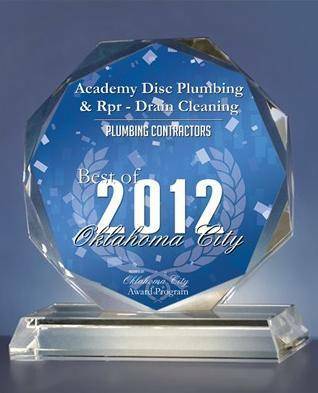 That time of the year everyone hates when it is time to look at your plumbing and maybe start to do some maintenance. We all know we hate it but it is on our list of things to get done before the year is over and we usually put off. Although we don’t like it we should actually keep it done all year long so it doesn’t overwhelm us. Here is a list to check and keep up with of some normal issues and others that we need get fixed before they get to bad to just repair. 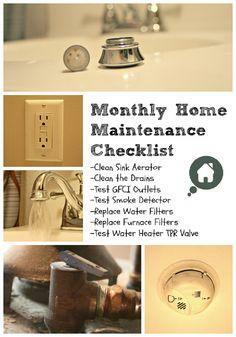 If you work on this list it will help you keep up with any problems you may have in the future with your home. You need to think about all of the various or different kitchen or lavatory fixtures and tub, shower or water heaters ect… that are associated with your home. This will include your drains, utility room and laundry sink, washing machine besides all of the tub and shower, lavatory sinks and water closets or toilets with your house. ❏Check for evidence of leaks in water and drain pipes that you are able to visually inspect. Any moisture and spots or stains that are left from standing water. ❏ Check for rusted or corroded water or drain pipes. Rust can get bad enough to cause leaks or bad a connection at the pipe joints. If you see any green staining at the ball valves or on copper and brass pipe connections or on any old galvanized water lines. ❏ Be sure and check the pressure for your water lines. Check to see how much water and how good the flow is at your sinks and faucets. If you don’t have much volume coming out you might have corrosion or build up inside of your water lines or even in the aerator or shower heads. ❏ You can check by removing your aerators and shower heads and see if they have sediment in the screens. This can shut down the water completely and cause low water flow. ❏ Be sure and see if all of your bathtubs, showers, sinks and washer drain well and with acceptable speed. If they are slow it will indicate a blockage or clogged vent pipe. You should see a whirlpool or at lest some swirl of the water as it drains. If they gurgle or if you see them bubbling this will mean there is an issue with stoppage or venting of the pipes. ❏ Look at the inside parts of the tank on the stool including the handle. When you are flushing the toilets are they flushing well? Look inside and check for missing parts or parts that are broken or corroded. Check to see if there is any water at the base of the stool and make sure the toilet does not keep running or shutting off and in a short time running again. ❏ Check the Sheetrock where the drain pipes goes through from your sinks for moister or softness. Also check the tile in the same places and tub and showers for any that may be loose. If they are not secure you may have water running through them. This will rot the wood and the Sheetrock underneath. ❏ Check the stool, lavatory sinks and shower to see if they are dapped or cocked correctly or it is not coming loose. ❏ Look for and mold where it might have been wet before and dried over time. ❏ Check your toilet stools to see if they shimmy around and are not solid. ❏ Check the burning assembly in your houses water heaters. Check for corrosion or build up of sediment. Look at the burner when it is on for blue or yellow flames. If it is yellow you may need to remove the assembly and have it cleaned or replaced. ❏ You should always flush your water heater monthly to remove sediment buildup. ❏ Check you tub, kitchen and lavatory faucets to see if they are leaking at the handles when they are on. ❏ Look at your washer hoses and see if they are leaking, cracked or getting hard. They need to be replaced at regular intervals. If you check your list on a regular basis and go though the whole list at least four times a year you can find problems before they get out of hand and save yourself some much needed cash. It will be well worth the small time and effort it takes to go through this list and you will be glad that you did. You will see that the first time you find something that was ready to break loose and cause you some major grief and difficulty. 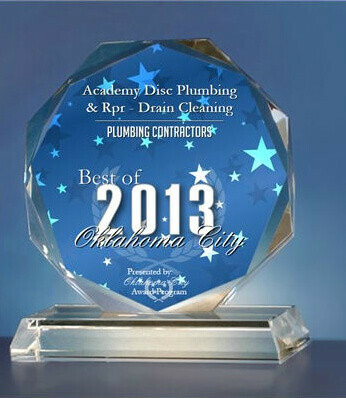 When it comes to home plumbing projects, it is always best to hire a professional. Even a small plumbing mistake can lead to leaks, floods and damage to other parts of the home. It is important to do your research before hiring a plumber to make sure they are reliable, skillful and do the job right the first time. Here are five things to consider when seeking a professional for your home needs.